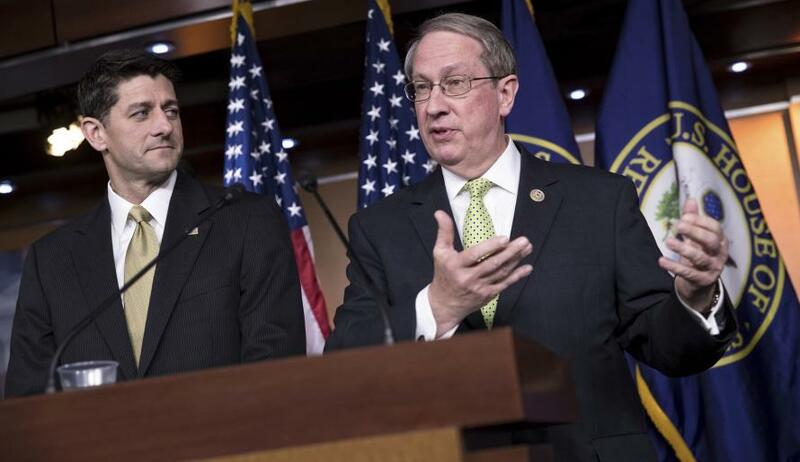 The House of Representatives rejected a hardline immigration bill on Thursday, introduced by Judiciary Chairman Bob Goodlatte (R-VA), after House leadership postponed a vote on a more moderate measure written by centrists. No Democrats voted in favor of Goodlatte's bill. The House just voted on goodlatte’s immigration bill. And the discharge petition — and a good deal of moderates leverage — is officially gone. The failed vote of 193-231 came one day after President Trump signed an executive order which would end the controversial practice of separating children from parents who cross the border illegally - which had been done under prior administrations but supercharged by the Trump administration's new "zero tolerance" enforcement policies. "What is the purpose of the House doing good immigration bills when you need 9 votes by Democrats in the Senate, and the Dems are only looking to Obstruct (which they feel is good for them in the Mid-Terms). Republicans must get rid of the stupid Filibuster Rule-it is killing you!" Trump tweeted. The GOP bills were already in disarray going into Thursday. On Wednesday, Rep. Mark Meadows (R-NC), chairman of the conservative House Freedom Caucus, had an angry confrontation with House Speaker Paul Ryan after confusion erupted over which version of an piece of immigration legislation the House of Representatives was set to vote on, with Meadows later claiming in a statement that "the leadership compromise bill omitted key provisions that had been agreed upon beforehand." Both men became animated - pointing fingers at each other to the point where reporters in the press gallery could hear the the heated discussion - such as Politico's Jake Sherman who live-tweeted the drama. Meadows reportedly got in Ryan's face over which of two similarly-named immigration bills the House is expected to vote on tomorrow. In order to clear things up, GOP leadership handed out talking points to lawmakers about the "compromise" bill - however Meadows claimed that the "talking points don't match the text," and "are not really for prime time. "This was a communication issue where the leadership compromise bill omitted key provisions that had been agreed upon beforehand," Meadows spokesman Ben Williamson said in a statement. "We are working to resolve it." 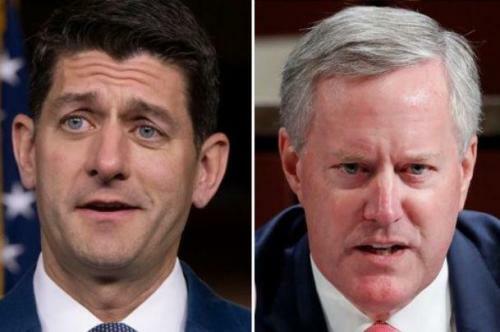 Several GOP lawmakers told Fox News that they were disturbed at the spat between Ryan and Meadows - with one source saying that a few members who were previously a "hard yes" on the immigration legislation are now "squirming" after the confrontation. Between the Benny-Hill circus on Wednesday, Trump's tweet on Thursday - and the reality of "obstructionist" Democrats in the Senate shooting down whatever the House manages to cobble together, it looks like immigration policy will come straight out of the West Wing for the time being. Moderate rs had an option. Discharge petition, which guaranteed four votes in the House. Or put immigration in the hands of leadership, the White House and the rest of the gop. So, here’s where we are. — 4:30, the House Republicans will go into a meeting to discuss the contents of the "compromise” immigration bill.